Eyelure very kindly sent me a bag* with pretty much every single brow product they make, that I've put to the test! 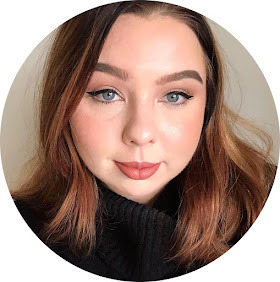 Brow products in general are a big part of my blog because - after all - who doesn't want perfect brows?! I surprised myself at how much I enjoyed this. I used to use a brow pencil when I first started filling in my brows circa 2010, and they were the worst brows you could ever think of - I won't scare you with the details! So whenever I think of brow pencils, I immediately get a shiver down my spine because I associate them with the horrific brows on my 13 year old self. I didn't find myself crying out for my trust Brow Wiz, instead I found myself absolutely loving it. The nib is very fine so you can very, very easily emulate natural hair strokes. The formula of the actual product is almost cream to powder, so it's very difficult to mess up! It's very easy to blend out - especially with the handy spoolie that comes on the other end of the pencil. It's a little smaller than other spoolie's I own, which I have found makes it easier to shape the brows as well as blend the product. The fact it's smaller means you can really get in tightly between the individual hairs. I highly recommend this for any brow type (shape/thickness etc), but especially if you particularly enjoy the natural brow look (think Gigi Hadid). I'm going to say it: I prefer this to my Anastasia Dip Brow. The texture of this is a lot more fluid and buttery. It's very easy to blend. With this, it's very easy to achieve a really stunning natural looking defined brow. My current favourite routine is to combine the pomade and the pencil; I use the pencil to fill in the finer hairs near the front of my brow (above the inner corner of the eye) and using the pomade to shape the tail. I have been a die hard fan of this for a long time! It's comparable to Mac's Brow Set, but it's half the price! It has a really nice tint to it but not overly intense or messy. The tiny spoolie makes it easy to grab onto individual hairs, and the gel holds them in place all day! This is a great little drugstore gem. I really, really like the concept of this! 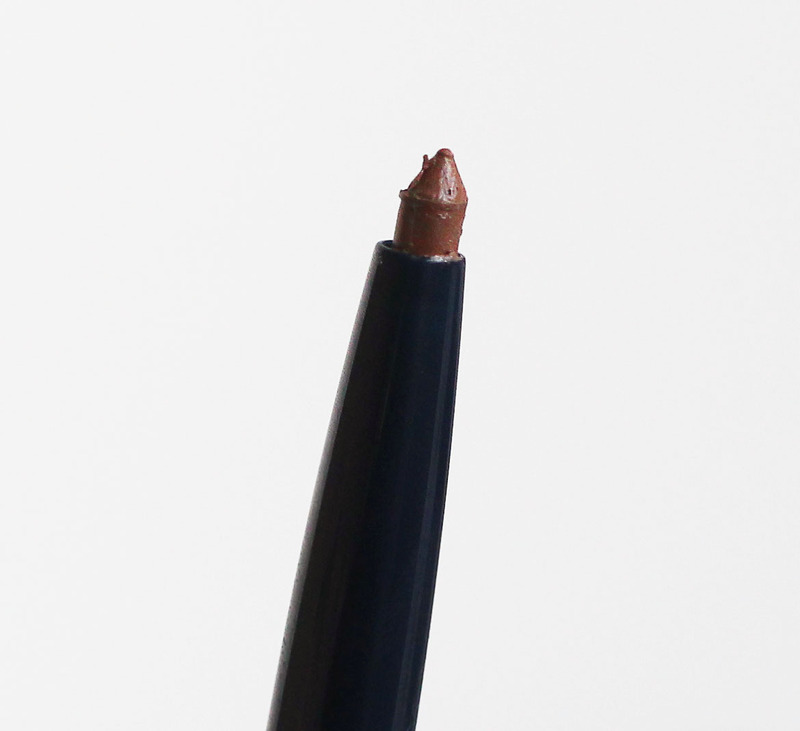 All in one pen, you have a brow crayon and a tinted brow gel with a spoolie applicator. 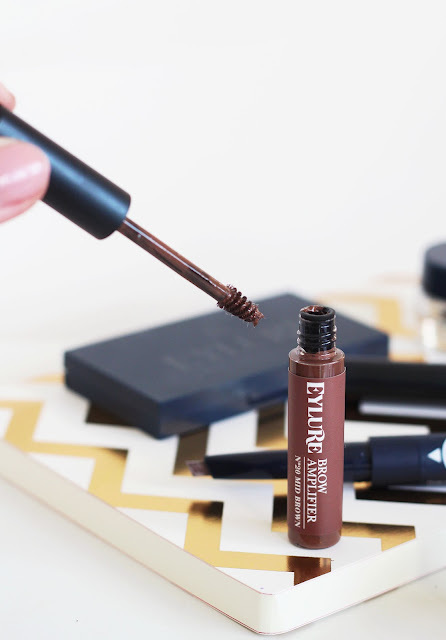 I already am a huge fan of Eylure's Brow Gel (the Brow Amplifier, see above!) so of course I think this is great. 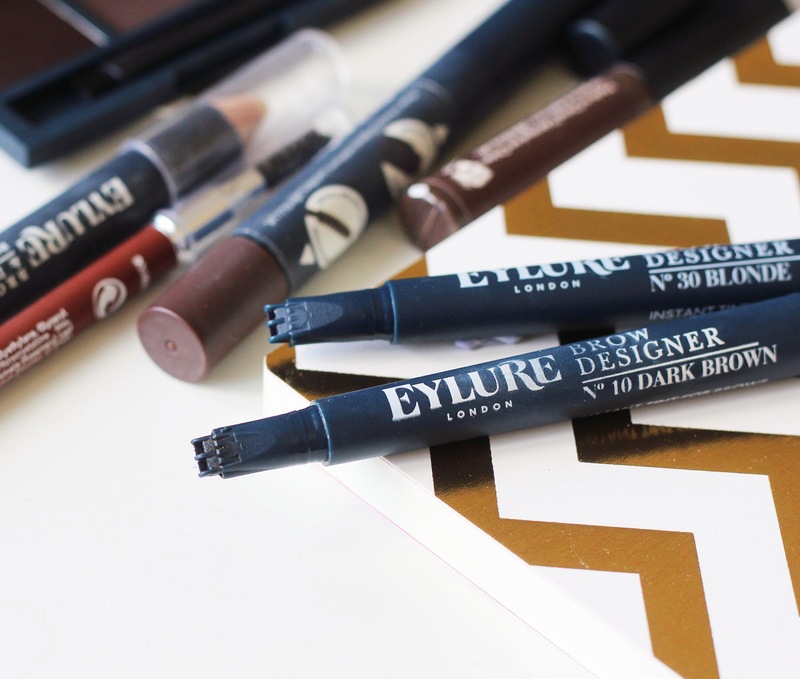 I really like the brow crayon, it's nice and pigmented and applies really nicely. It's also angled which makes it easier to mimic the shape of natural hairs, however it is a little chunkier than I would personally prefer. I've actually used this for a long time. And, dare I say it? It's better than Benefit's High Brow. This is a double sided crayon and on one side you have a pale pink-y shimmer highlight and on the other side essentially a cream stick concealer. 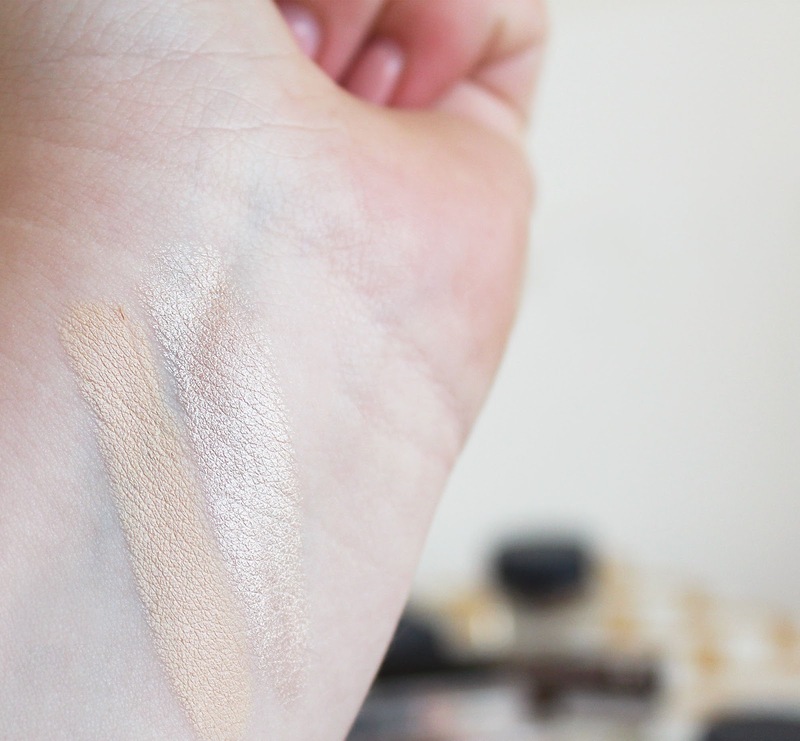 Both sides are very creamy and easy to blend out around the brow bone. The shimmery highlight side has a really nice sheen to it as opposed to any chunky glitter, so you get a nice finish. Similarly the other side is very pigmented so easily acts as a concealer over any stray hairs. The only downside to this is that it only comes in one shade, so this is only suitable if you have fair skin. This one is something that honestly I'm not so hot about. On one end, you have a brow pencil and on the other you have the 'contour', which is essentially a concealer. Although the concealer works fine and is - at least as far as I can tell - the same formula as the non-shimmer end of the Brow Luminizer, the actual brow pencil on this is far too chunky. I find it a little too creamy, actually. I prefer my brow products to be on the waxy side as this tends to make it easier to match the shape of natural hairs. When it's creamier, it moves around and smudges more often, in my experience. This is a pleasant surprise! 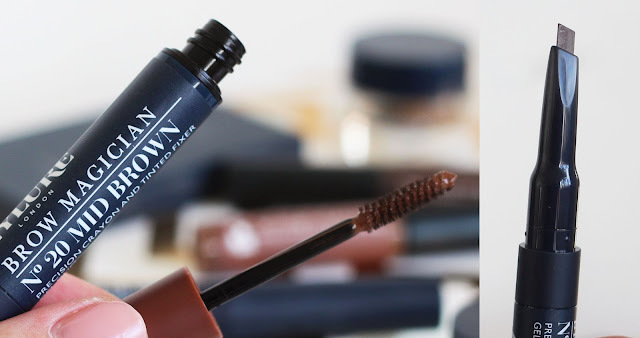 This brow product strikes a perfect balance between a waxy and buttery texture. It glides between the natural hairs with enough pigment to fill and shape the brows, but without bunching together or looking unnatural. The nib has a very fine point as well as being a tiny bit angled, which helps to achieve utmost precision. This is really handy! 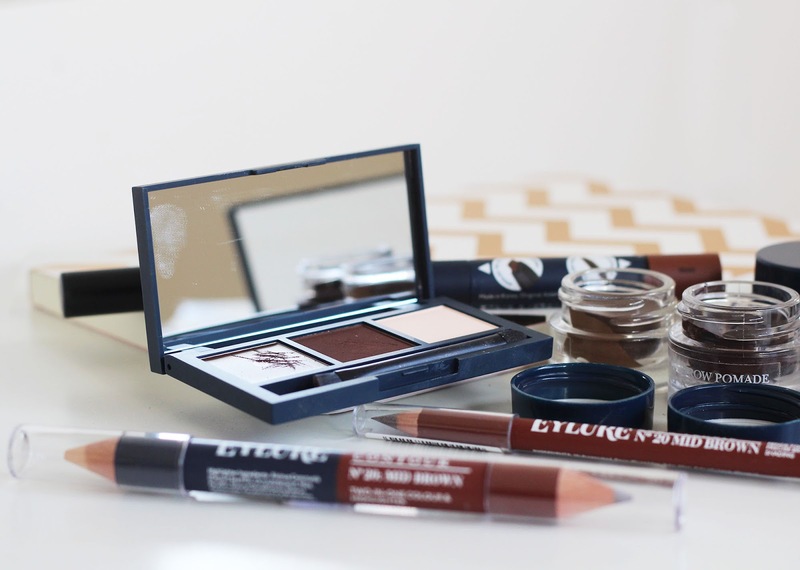 It contains a highlighting powder, a brow coloured powder and a brow coloured wax. It comes in three different shades, blonde, mid brown and dark brown, but to be honest I think they're all pretty universal! The wax is really nice, it doesn't dry tacky or start to flake off and it has a great amount of pigment so it doesn't look unnatural. The powders are nice too, and similarly are nicely pigmented and it isn't easy to make a mess with it. I think this is a great palette to pop in a handbag or to travel with! My only complaint is that the little brush that comes with it isn't practical, it's too small and too wide, for me at least. I am obsessed with this! My favourite way to achieve perfect brows is to use a clear gel to shape and hold my brows before filling them in. However gels tend to dry with a sticky texture which can make applying and blending product into the brows difficult. This wax pencil is fab! I draw through my natural hairs with the pointed tip, which holds them in the place I want them to not only all day long, but without feeling sticky or stiff! 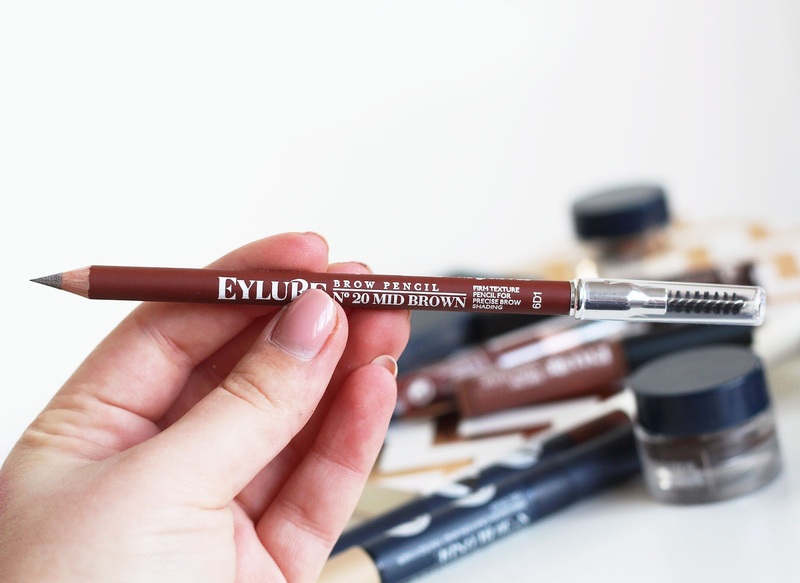 Out of all of these Eylure brow product, this is the one that is my absolute favourite and has become a definite staple in my make up routine. This is supposed to be an instant, fuss free tint for your brows. I agree with this - to some extent. My issue isn't with the product itself rather with the applicator. It's like two little rollers, which make it very difficult to follow the natural shape of the brows and can get quite messy. However, I do enjoy the product as a whole. I use it alone, if I want my brows more defined but without the hassle of filling them in (if I'm going for a natural make up look) or the opposite, if I want to add even more definition to my brows I will use them prior to filling in my brows. I have to use this before any other make up though. It can get quite messy because of the unusual applicator, so I use it first so as to not messy up any foundation etc. The final outcome though is that my eyebrows have an obvious, definitive colour to them, but it isn't s over the top that it looks unnatural. Frankly I thought these were gimmicky at first glance! However they are actually useful. You pop the stencil over your natural brows and fill in the shape of the stencils with any brow product. I opt for one that's very opaque - like the Brow Pomade - to make the shape I'm aiming to achieve absolutely clear. You then just pluck around the area that's filled in. Like I said, I really thought this was a bit gimmicky but after trying it, it's actually a really easy way to get even, beautifully shaped brows. These are cold wax strips designed to replace tweezing stray hairs. These didn't work at all for me. That being said, it does say on the instructions they're designed for fine hair, and mine is very coarse. Have you tried any of these products? What's your favourite? *NOT PR, won in a competition. This does not influence my opinion of the products. 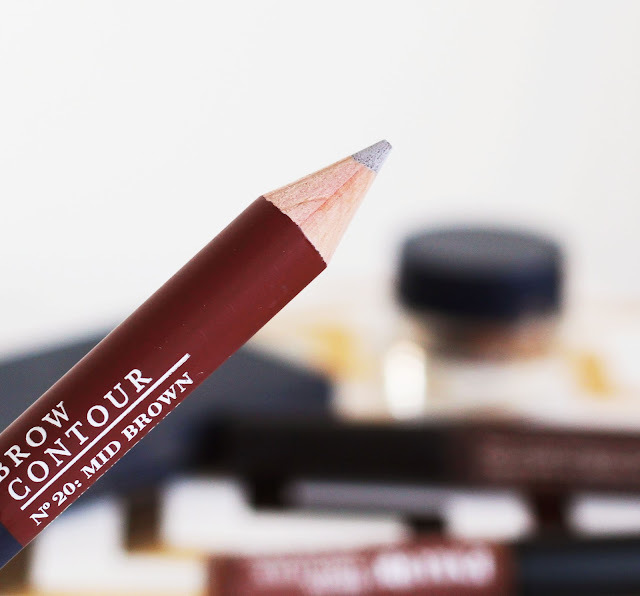 Beautiful post and I'm amazed at how many options there are for brows these days! 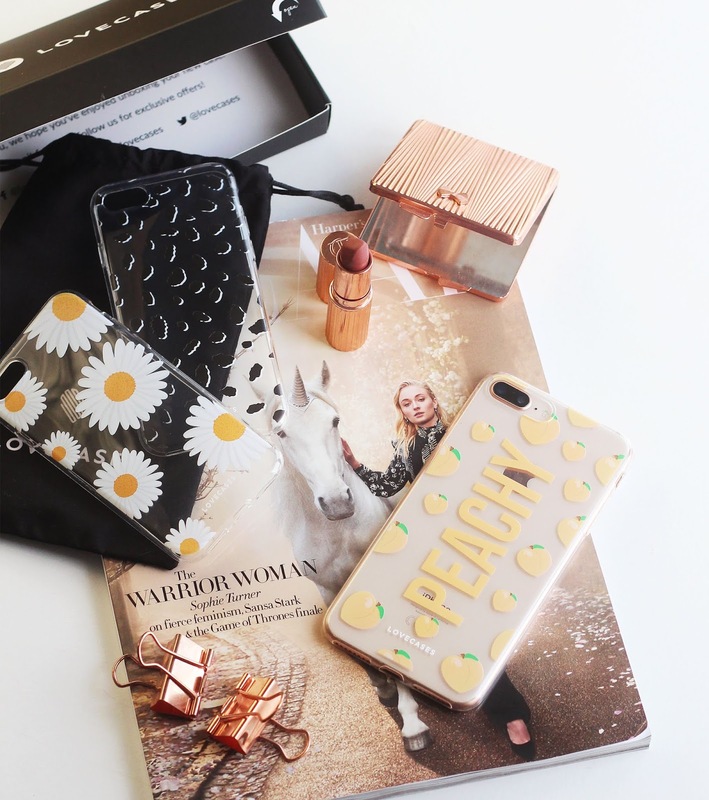 I think I have 5-6 products I swear by and that's it really, but you make wanna explore! Wow this post is for me as i have not been blessed with great brows. Very fine. I like Eylure fake eyelashes!! I think I am just too old for eyebrows! haha I just cannot seem to grasp the concept! Eyelure Brows are *everywhere* now, I totally need to get my hands on them! I can never get the hang of using the stencils. They always look wrong on me. But you have highlighted some great products here. To be honest I've never messed about with my eyebrows yet lol some parts of me I like to keep natural , I mean I keep them neat plucked just never have used pencils etc on them . I watch my teen daughter do it but she does it so well she will have to teach me lol. Very helpful review - thank you. I shall follow some of your hints. Crikey - so much to choose from! I bought Soap and glory the other day and was very impressed, I am new to brow definition so just the one product was enough - but I do get brow envy from ladies that have super sleek brows! I *have* to try that brow luminizer! Wow you're so lucky to have tried all of these products as everything looks amazing and it makes me want to purchase them after reading this. I'm interested in the brow pomade, stencils, brow luminizer, brow designer! Thanks for the review! Great review, would like to be more experimental with brow products! Fab review. I never use anything on my brows though so I don't think I'll be buying anything. 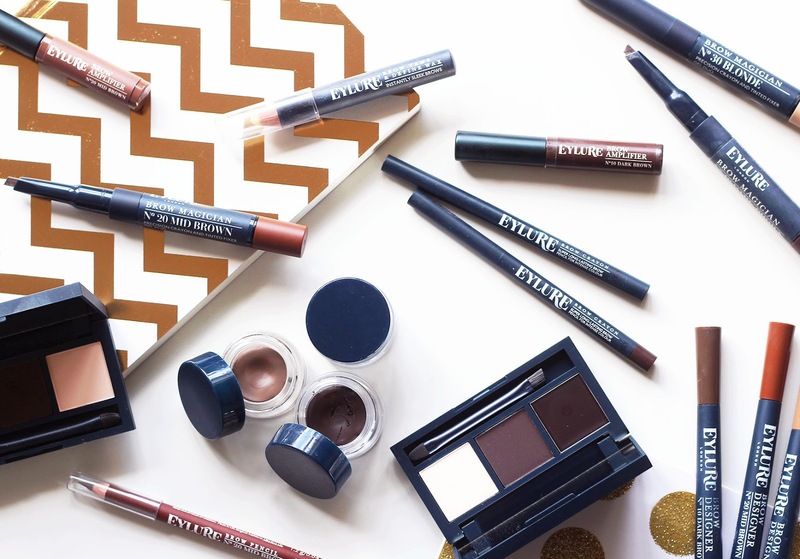 The Eyelure Brow Pomade is fantastic! Definitely worth every penny! So far I've only tried brow powder and wax but you've given me a lot more ideas! Such a brilliant guide and so helpful!! Apart from the lack of shade options in the Luminizer, this range looks brilliant. I like the sound of the wax, especially. Wow! Looking for some new brow products so I'm deffo gonna be checking some of these products out! 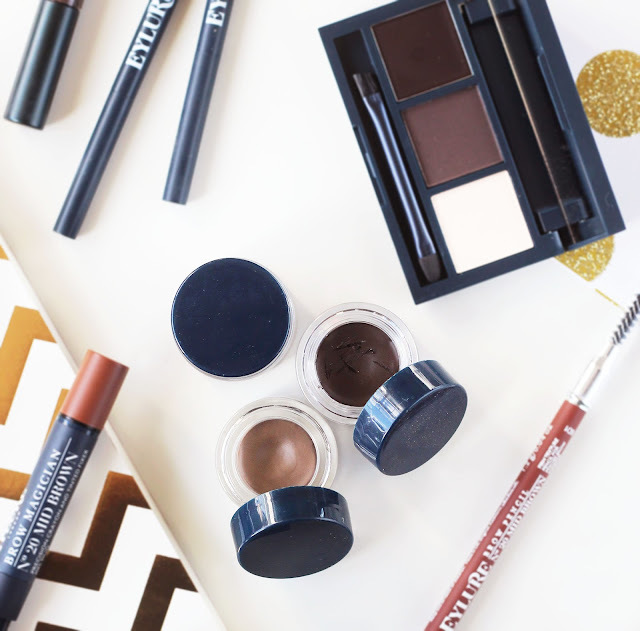 I have thick brows so all of these products would be right up my street.